Transferring files to and from your web host or server is best done with what’s commonly known an FTP client, though the term is a bit dated because there are more secure alternatives such as SFTP and FTPS. 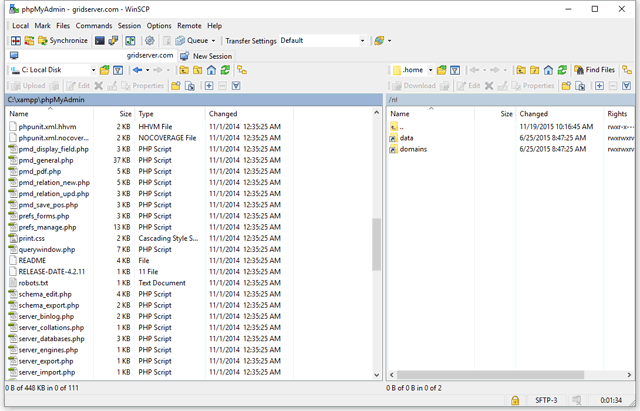 Supports secure file transfer protocols: FTP isn’t secure. 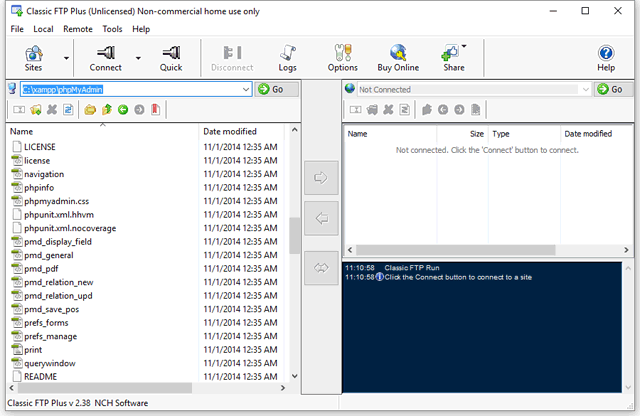 Among its many flaws, plain FTP doesn’t encrypt the data you’re transferring. If your data is compromised en route to its destination, your credentials (username and password) and your data can easily be read. SFTP (which stands for SHH File Transfer Protocol) is a popular secure alternative, but there are many others. 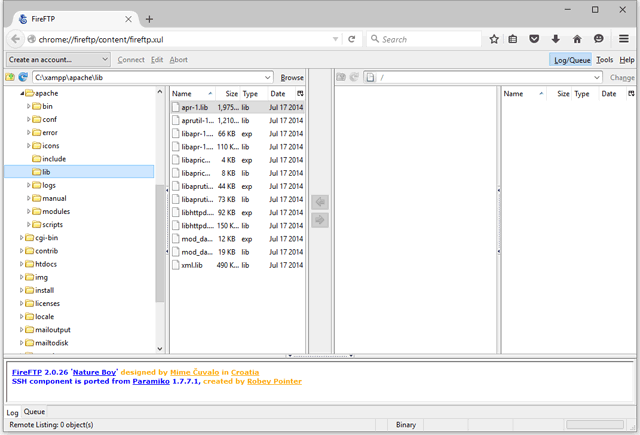 Has a GUI: There are some awesome FTP clients with a command-line interface, but for a great number of people, a graphical user interface is more approachable and easier to use. 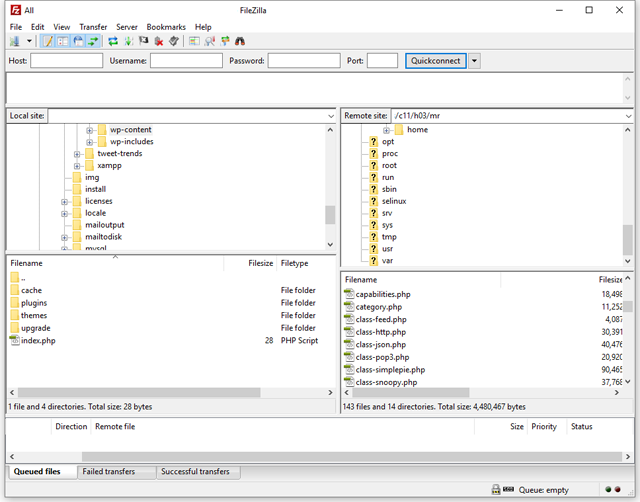 Topping the list is FileZilla, an open source FTP client. It’s fast, being able to handle simultaneous transmissions (multi-threaded transfers), and supports SFTP and FTPS (which stands for FTP over SSL). What’s more, it’s available on all operating systems, so if you work on multiple computers — like if you’re forced to use Windows at work but you have a Mac at home — you don’t need to use a different application for your file-transferring needs. For this post, I decided to focus on free software. 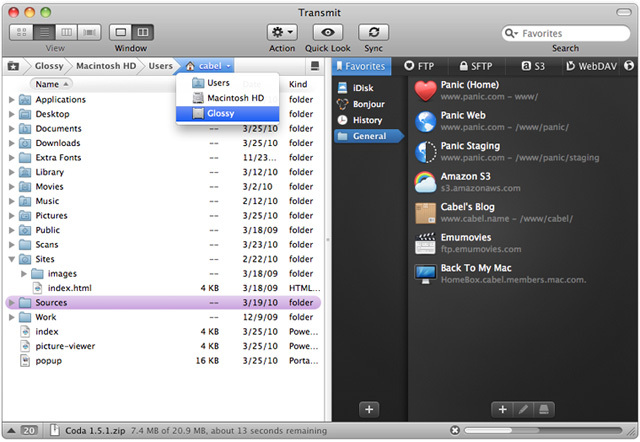 But it just doesn’t seem right to leave out Transmit (which costs $34) in a post about FTP clients because it’s a popular option used by web developers on Mac OS. It has a lot of innovative features and its user-friendliness is unmatched. If you’ve got the cash to spare and you’re on a Mac, this might be your best option.